Lindsey (Baum) Lewis, 35, entered eternal life on Tuesday, October 23, 2018. She was born Lindsey Elizabeth Baum on July 25, 1983, at Edward Hospital in Naperville, Illinois, to Michael and Janice Baum of Montgomery. A lifelong resident of Aurora, Lindsey attended St. Paul Lutheran School from kindergarten through eighth grade. She graduated from West Aurora High School in 2000. In 2005 she earned her Bachelor of Science degree in psychology from Eastern Illinois University where she was an active member of Sigma Sigma Sigma Sorority. In 2007 she earned her Masters in Social Work degree from The University of Illinois at Chicago’s Jane Addams School of Social Work after successfully completing internships with the Aurora Police Department and Downers Grove Elementary School District 58. She was employed as a school social worker in Downers Grove from 2007 to 2016 and, most recently, at Oak Park Elementary School in East Aurora District 131. On July 31, 2010, she married the love of her life, Aaron B. Lewis, and gave birth to their beloved daughter, Tahlia Payton Lewis, on May 6, 2013. 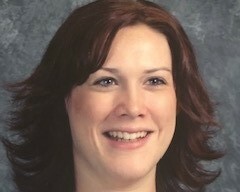 Besides her heartbroken husband, daughter, and parents, Lindsey is survived by her sister Katherine (Chris) Sauerwein of Aurora; her sister of the heart, Jennifer (Brad) Lake of Mountain Home, Idaho; her mother-in-law, Davette Thompson of Sebring, Florida; her sister-in-law, Alicia Westfield, of Park Forest, Illinois; nieces Kaitlyn and Marissa Lake; Kennedy and Kendall Westfield; Quinn and Louise Sauerwein; her grandmother-in-law, Ruth Hill, of Sebring, Florida; her beloved aunts, uncles, and cousins; and her cherished friends, colleagues, and students, past and present. Lindsey is preceded in death by her paternal grandparents, Dale and Charlene Baum; her maternal grandparents, Stephen and Elizabeth Boll; grandfather-in-law Zedie Hill, and her uncles Steve and Ron Boll and Randy Konschake.Lindsey’s caring and servant heart will be missed by all she touched in her brief but impactful life. In lieu of flowers, donations to Bethany of Fox Valley United Methodist Church would be greatly appreciated. Visitation will take place on Monday, October 29, from 3:00 PM-8:00 PM at Dieterle Memorial Home, 1120 S Broadway, Montgomery; the funeral will be held at 10:00 AM on Tuesday, October 30, at Bethany of Fox Valley UMC, located at 2200 Ridge Avenue, Aurora, followed by interment at St. Paul Lutheran Cemetery, Montgomery Road.